Rory Stuart is the author of Gardens of the World: the Great Traditions. He worked as a teacher of English literature in India and America and at Uppingham School, Westminster School, and The Cheltenham Ladies' College. He inherited a Cotswold cottage with a beautiful garden and began to look at plants and gardens critically, which eventually led to a course in Garden Design. 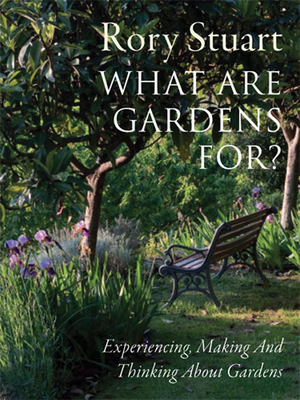 He set up as a designer, and began writing articles for magazines including Hortus, The Garden, The English Garden and The Historic Gardens Review. He has led garden tours of France, India and Italy and his fascination with gardens has now taken him to Rome, where he is learning how to grow plants in the challenging conditions of the hills outside the city.